Less than a week after a “gala” event, celebrating the 25th anniversary of the free trade agreement between Canada and America. That took place in Toronto Ont. on Wednesday October 3 2012. Canada has now officially joined talks aimed at achieving a Pacific free-trade deal. 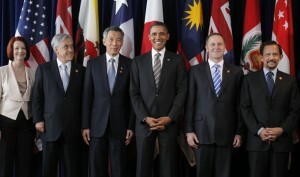 The pacific free trade deal now has 11 countries signed on, in the talks. Australia, Brunei, Canada, Chile, Malaysia, Mexico, New Zealand, Peru, Singapore, the United States and Vietnam. The advocates of the pacific deal say it could prove a useful way of counteracting the growing clout of China in regional trade and be extremely beneficial to average Canadians. Boosting the Canadian middle class. This is the same type of rhetoric that was said when when the FTA was signed, and ultimately NAFTA a few years later. How true was the advocates hype with the FTA and NAFTA? In a report from the Toronto Sun, published on the university of Toronto’s website. The numbers show how free trade has severely hurt Canadians. “Diversification in Canada’s industrial base has been disappointing, said Campbell, with the average unemployment rate in the last 15 years remaining about the same as the previous 15 years. Big business, though, has done well. A study of 40 non-financial member companies of the Canadian Council of Chief Executives found their combined revenues jumped 105 per cent between 1988 and 2002 while their overall workforce shrank by 15 per cent. Federal non-military spending cuts in the second half of the 1990s were the largest in Canadian history, bringing spending down to the level of the late 1940s. “Growing wealth and income inequality and a shrinking Canadian social state have been hallmarks of the free trade era,” Campbell said. The bottom 20 per cent of families saw incomes fall by 7.6 per cent during 1989 to 2004, while incomes of the top 20 per cent rose 16.8 per cent. While the average Canadian wage increased eight per cent between 1990 and 2000, the top one per cent of wage earners made 64 per cent more. “The first free trade decade saw overall income inequality increase for the first time since the 1920s,” said Campbell. Will this new trade deal be legit? Will it help common Canadians? I wouldn’t count on it! This trade deal along with many others including CETA (Canadian and European trade agreement), which is also being negotiated at this moment. Is only furthering the globalized consolidation of wealth into the hands of a few billionaires. And for those who like to pin all of our woes on Stephen Harper or the Conservative party. Stop before you even try to blame them solely for this. Conservatives began the FTA and NAFTA, Liberals continued them and started the negotiations for CETA, and now the conservatives are continuing CETA and starting this new Pacific deal. You see an emerging trend? It does not matter which politician or party is in office. The same agenda continues. Harper, Martin, Chretien, Mulroney all puppets doing the bidding of their corporate masters. Canada and the European Union (EU) are set to begin preliminary discussions on deeper economic integration a mere three days after the election. It has been reported that the proposed trade deal will far exceed NAFTA. Some see this as an opportunity to possibly update the 15 year-old accord. Stephen Harper is busy telling Canadians that only a Conservative majority government will be able to bring confidence back and stabilize the economy. That is why I find it a little strange that this has not become a pillar of the Conservatives economic platform. Harper has decided not to release the full text of the draft proposal until after the election on October 14. The reality is that such an agreement with the EU will be no different than NAFTA in the sense that it will be used to further advance corporate interests. For the past several months, Canadian officials have been hard at work negotiating with EU representatives. They have compiled a detailed study that will be unveiled after the election. Talks could begin as early as October 17 at a summit in Montreal , with formal negotiations set to begin in 2009. Just as the case with the Security and Prosperity Partnership (SPP) labour, citizen groups and the public at large have been excluded from any discussions. 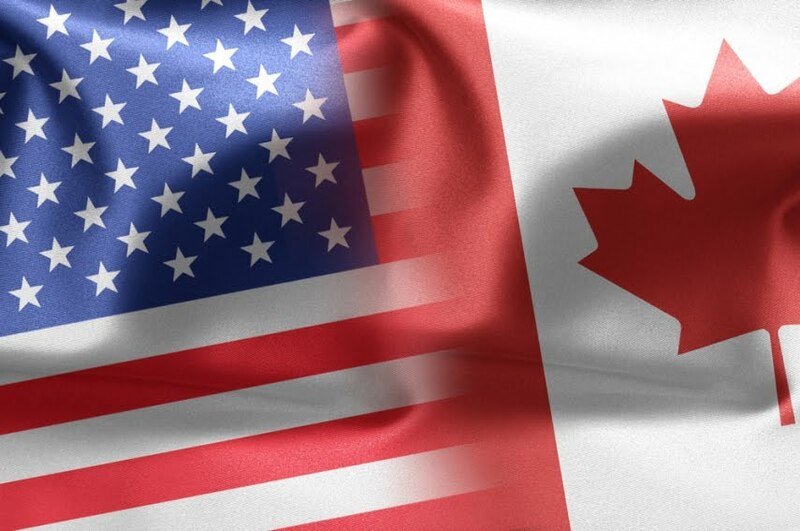 Many support this trade initiative because they wish to lessen Canada’s dependency on the American economy. This agreement has a better chance of succeeding if Harper is re-elected Prime Minister. There still remains much secrecy surrounding trade talks with the EU, and up to this point, Harper appears to be reluctant to make this an election issue. French and current rotating EU president Nicolas Sarkozy has said that he wishes economic integration with Canada to be part of his lasting legacy. Europe sees Canada’s energy resources as a possible solution to easing their dependency on Russian oil and gas. In a commentary that appeared in the Globe and Mail, Alan Alexandroff, co-author of the C.D. 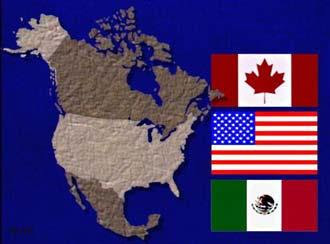 Howe Institute paper titled Still Amigos, writes, “If the EU and Canada can forge an accord that covers services, government procurement and skilled labour that could well set the table for reviving the original NAFTA.” He went on to say, “If the EU and Canada join hands, the U.S. and Mexico will be eager to join the party.” Some believe that such an agreement will further advance North American integration while spreading NAFTA to Europe. A Canada-EU trade deal could be used as the model for future bilateral accords and as a way to further renew U.S.-EU relations. There are calls to further deepen the U.S.-EU partnership with a new sense of multilateralism in areas of trade, climate change, and fighting terrorism. In April of 2007, it was announced with very little fanfare that the U.S.-EU had reached a deal on a new Trans-Atlantic Economic Partnership. They agreed to set up an economic council and further boost trade and investment by harmonizing services, business takeovers, and intellectual property. They also agreed to continue working towards eliminating non-tariff barriers to trade, which could eventually lead to a U.S.-EU single market. Economic integration was a first step in the creation of the EU, and a similar stealth approach is being used to advance a North American Union. EU Commission President Jose Manuel Barroso recently said in a speech, “We have to make room at the top table for others, because that is the only way we can consolidate and strengthen a stable, multilateral world, governed by internationally agreed rules.” He also stated, “the time has come to start thinking of an Atlantic Agenda for Globalisation.” With the further erosion of national sovereignty and continued economic, social, cultural and environmental integration, we are on an undeniable path towards world government. With the collapse of the WTO talks, more bilateral trade agreements will be used in advancing the New World Order’s agenda. The global elite, pushing for world government, are using the current financial turmoil to acquire more wealth and power. Economic uncertainty could also be used to usher in a North American Union with its own currency. A Canada-EU trade deal is yet another incremental step towards global governance.